The Instrument Deployment Camera (IDC), located on the robotic arm of NASA's InSight lander, took this picture of the Martian surface on Nov. 26, 2018, the same day the spacecraft touched down on the Red Planet. 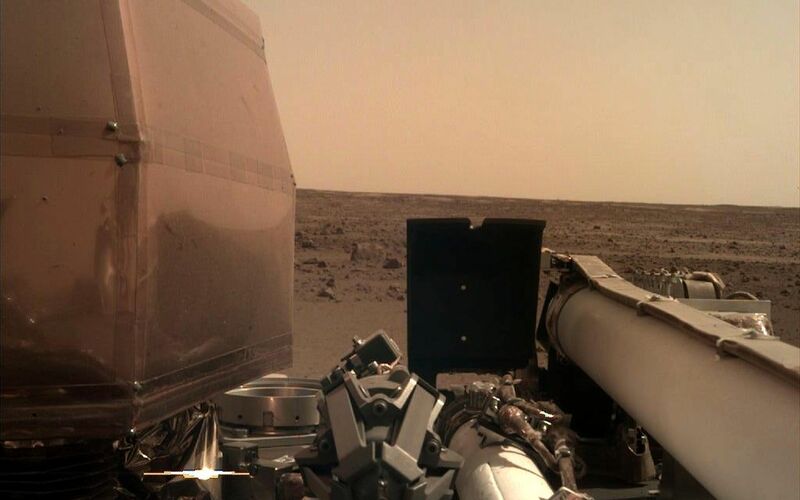 The camera's transparent dust cover is still on in this image, to prevent particulates kicked up during landing from settling on the camera's lens. 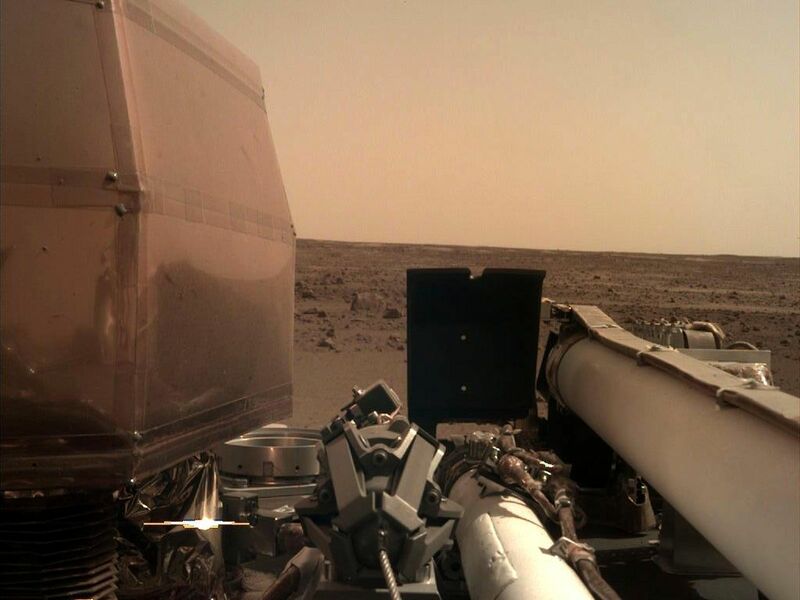 This image was relayed from InSight to Earth via NASA's Odyssey spacecraft, currently orbiting Mars. NASA's Jet Propulsion Laboratory, a division of Caltech in Pasadena, California, manages the InSight Project for NASA's Science Mission Directorate, Washington. Lockheed Martin Space, Denver, Colorado built the spacecraft. 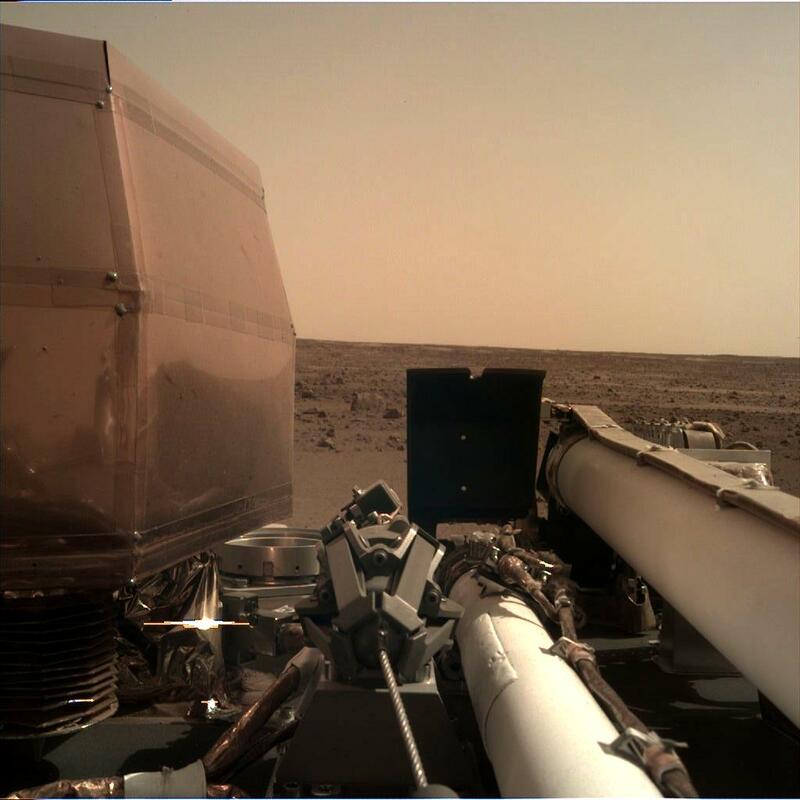 InSight is part of NASA's Discovery Program, which is managed by NASA's Marshall Space Flight Center in Huntsville, Alabama.